Symantec reckons the forthcoming Windows 8 release of its Norton security software will actually speed up Microsoft's new OS. At a briefing attended by TechRadar, Symantec head of development Collin Davis talked up the performance of the company's new code coming later in the year, saying using it in preference to Windows Defender means a faster experience in the Consumer Preview and Release Preview versions of Windows 8. "Windows, as you know, includes Defender. And that's a big deal. That's great, it's important and it's continued to raise the bar," said Davis. "But with Defender comes something interesting. You know how often we talk about speed and performance. We have an entire team that work on nothing but performance. Now we get to say, Norton makes Windows faster. Because Defender is slower than Norton." Impressive, but will it be the same with the final Windows 8 release? "If you turn off Defender, your PC will be faster. We always have overhead, we still do. We add less overhead than Defender does. Beginning with our Fall release, you will be updated to the latest technology without reboots." We were shown several slides with supposed better performance by Norton running on Windows 8, though it must be said these are internal Symantec tests. When questioned about this, Davis said he was sure the results would be replicated by independent testing. Davis was also firm that, despite the growth in mobile operating systems, Windows will always be a target. "The bad guys will always exploit the operating system with most installs. 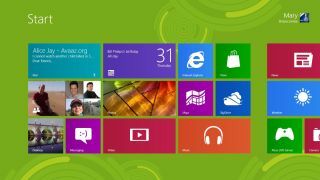 Windows 8 will be no different." The new Norton Fall release will also mean the end of the reboot when installing updates. "You won't need to reboot your PC. We've done a lot of new work on our update system without having to bounce the system." And the new end of version numbers of Norton products in (though don't bet against boxes still being labelled with the year in shops). "What we're also looking at is the concept of versionless CDs," explained Davis. "The subscription model hasn't changed, but the process of going from, say, 2011 to 2012 has traditionally been a manual one. So we've shifted away from that." OEM versions of the software will also automatically be updated.